214 216 218 & 220 E 37 St N.Y. This is a sidewalk basement entrance on Lafayette St., New York City. 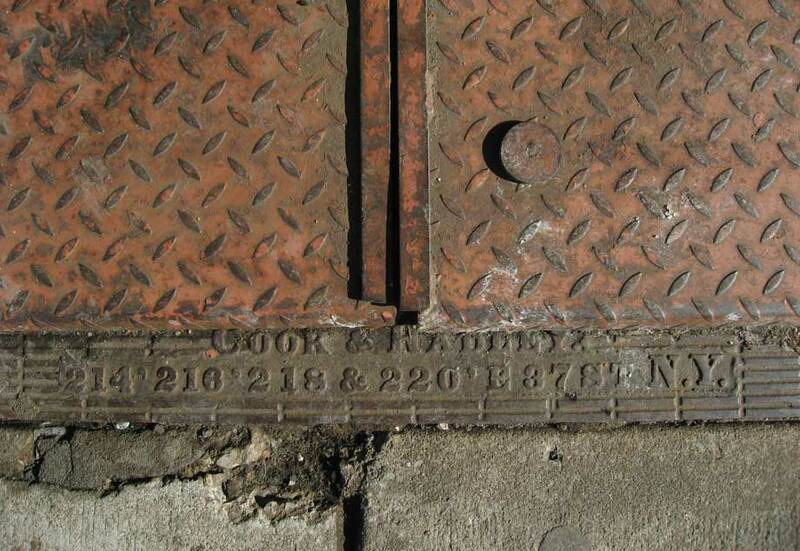 More on the iron founders, Cook & Radley, can be found on their page for founder's marks.